Hello crafty friends!! 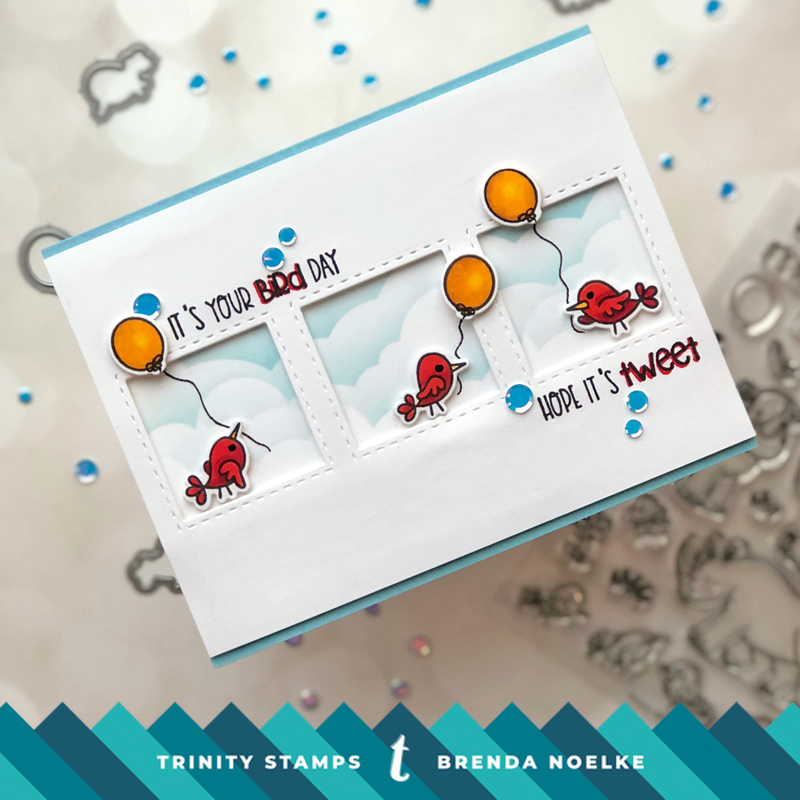 Brenda here with a birthday card to share with you today. 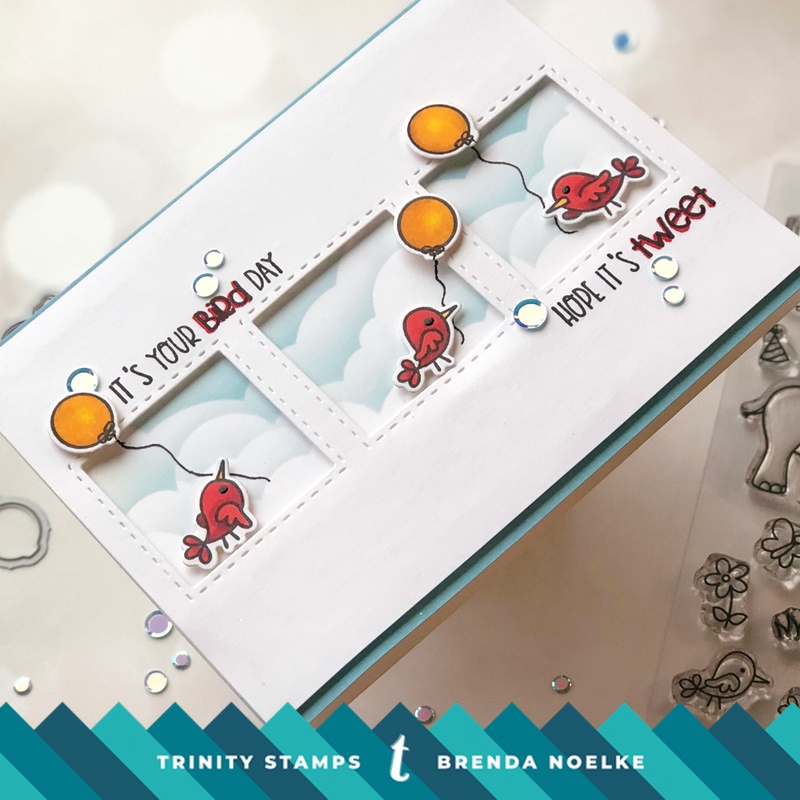 I just love the sentiments in the Rhino Bird Day stamp set! I used it once here, but wanted to concentrate on the little birdies in the set. 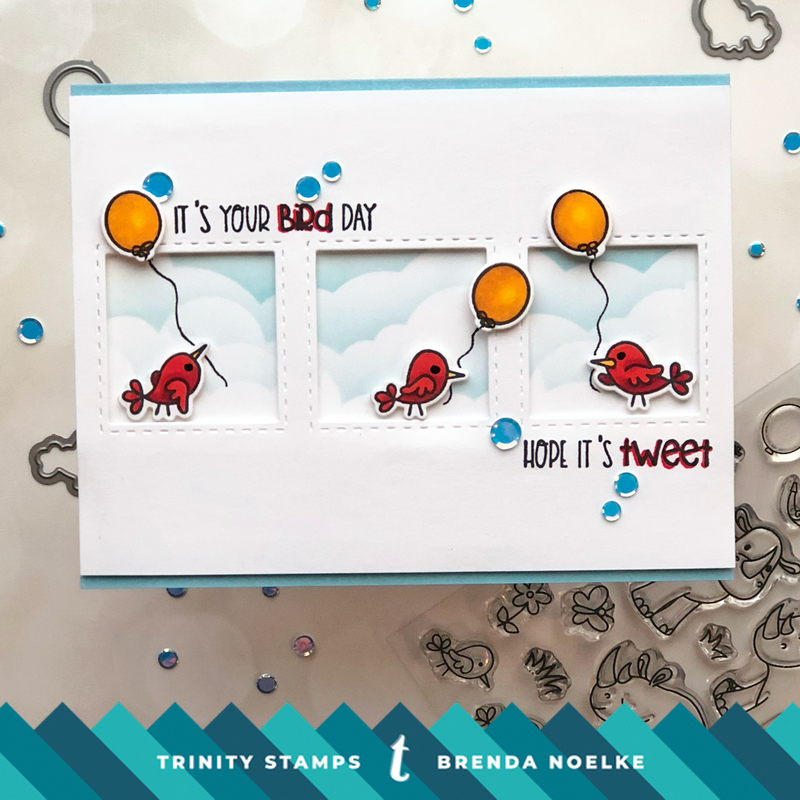 I stamped the birds and the balloons from Rhino Bird Day with Momento Tuxedo Black Ink onto white cardstock. After coloring the images with Copics, they were cut out with the Coordinating Dies. I die-cut the windows into a panel of white cardstock. I blended the clouds with a stencil and Tumbled Glass Distress Oxide onto the cardbase using a Blendability Brush. I also blended some Tumbled Glass onto the top and bottom of the cardbase. The sentiment was stamped above and below the windows with Versafine Clair Nocturne Ink. I added the die-cut panel, birds and balloons with foam adhesive. The strings on the balloons were drawn on and a red marker was used to highlight a couple of words in the sentiment. A black glaze pen adds a little shine to the eyes and a sprinkling of Swimming Pool Light Blue Confetti Mix finishes off the card. That’ll do it for me today!! Have a great weekend and I’ll see you next Friday!! !